The Customer: We always offer more than what you expect to experience with us. 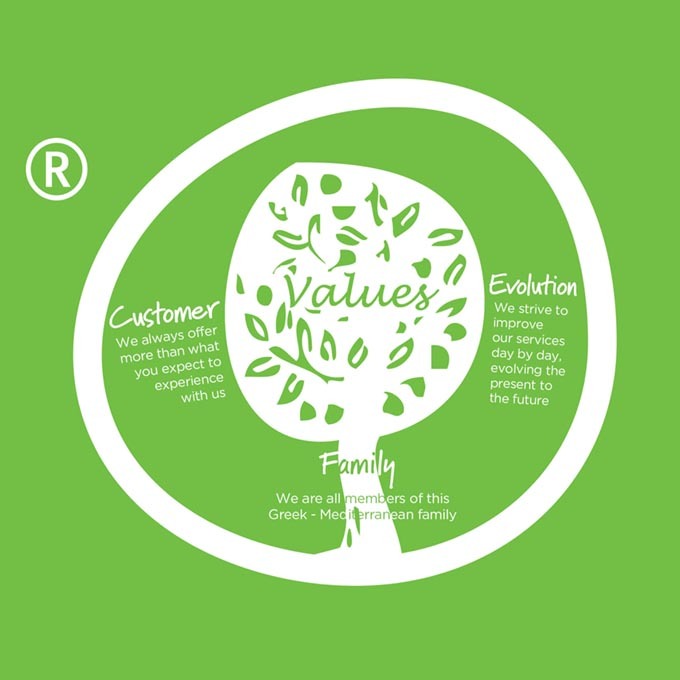 Evolution: We strive to improve our services day by day, evolving the present to the future. The Family: We are all members of this Greek - Mediterranean family.